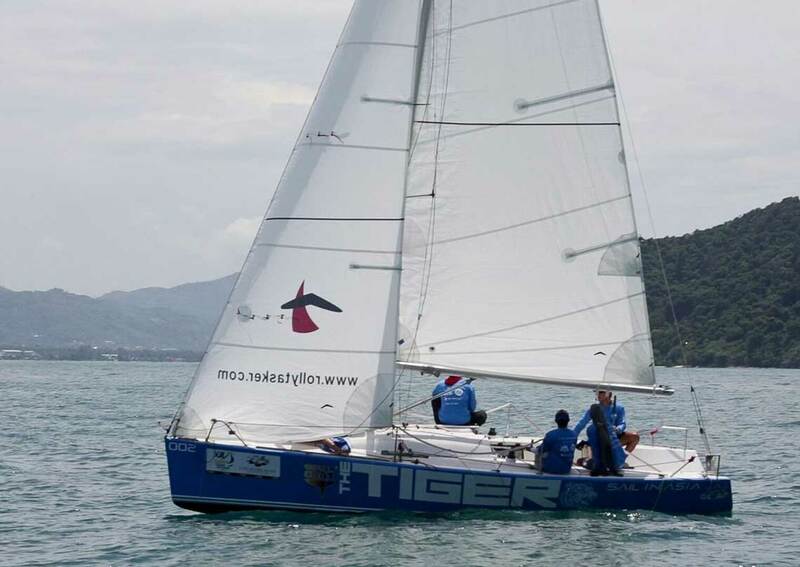 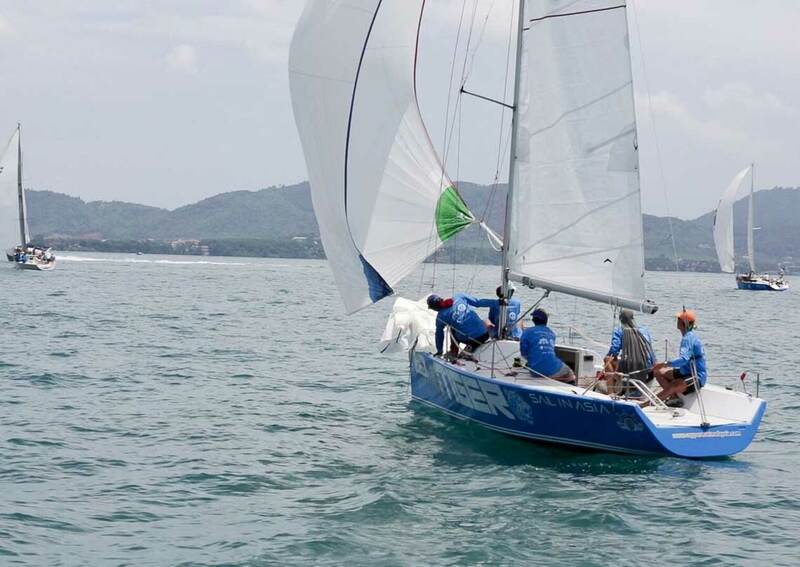 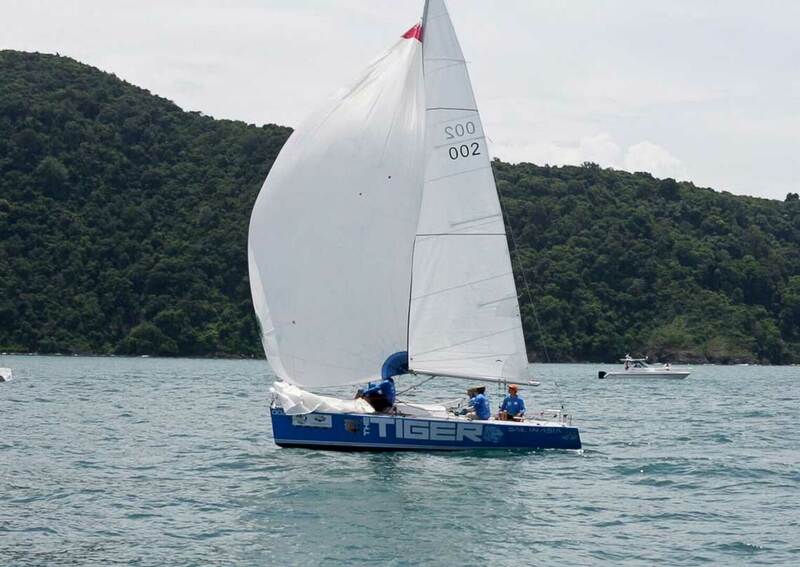 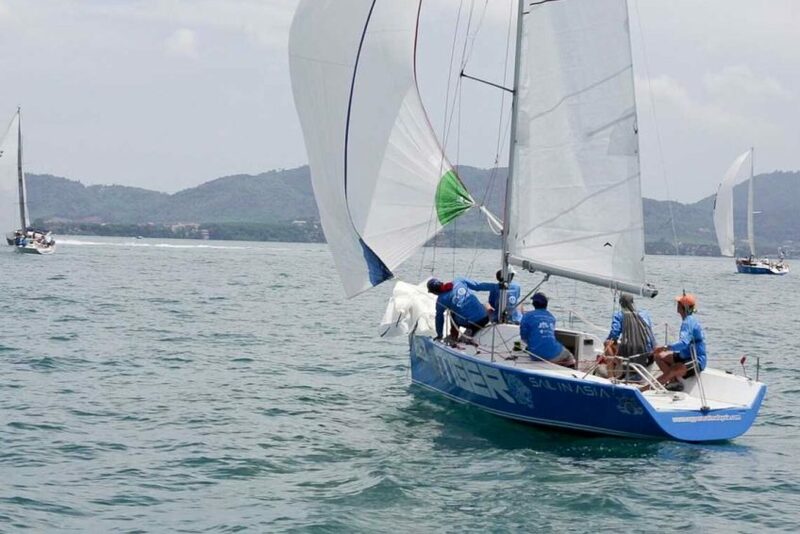 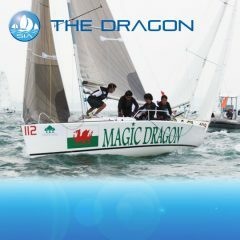 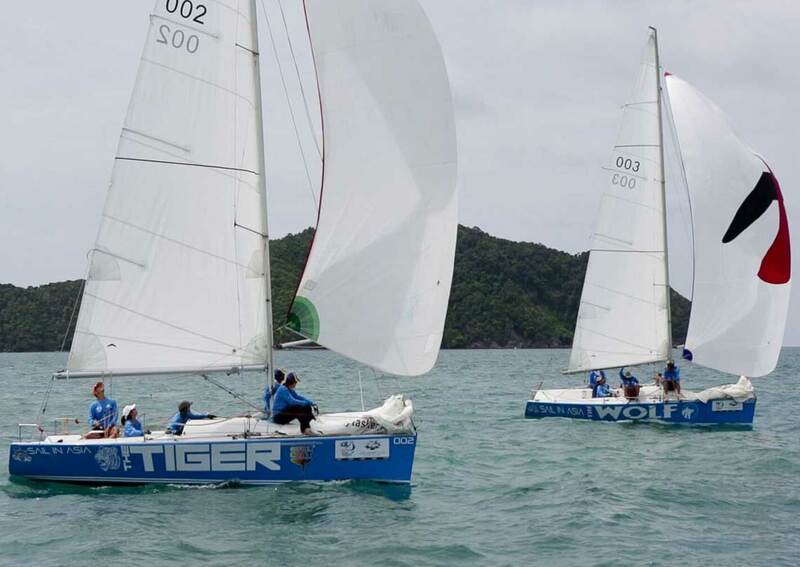 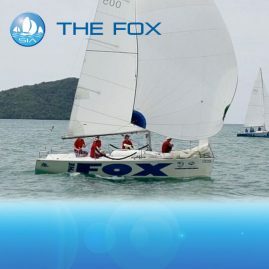 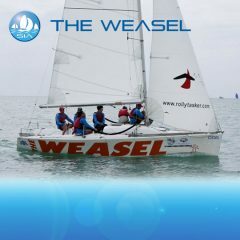 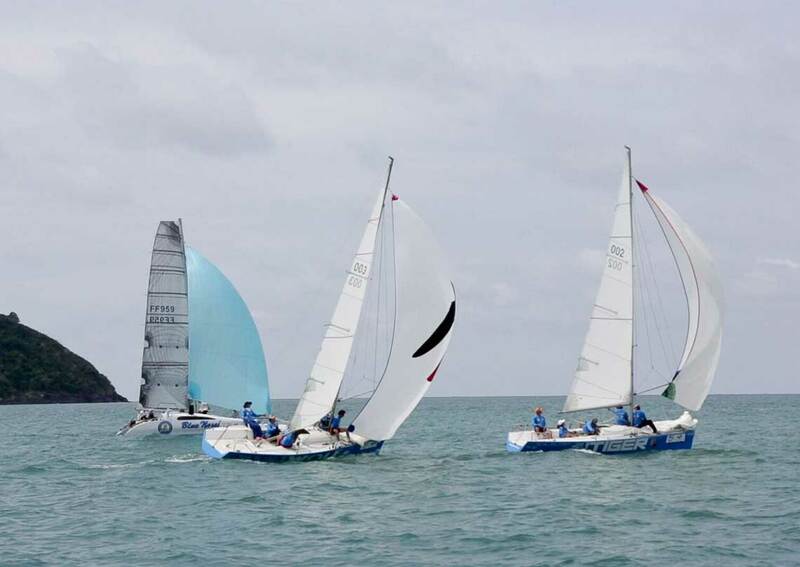 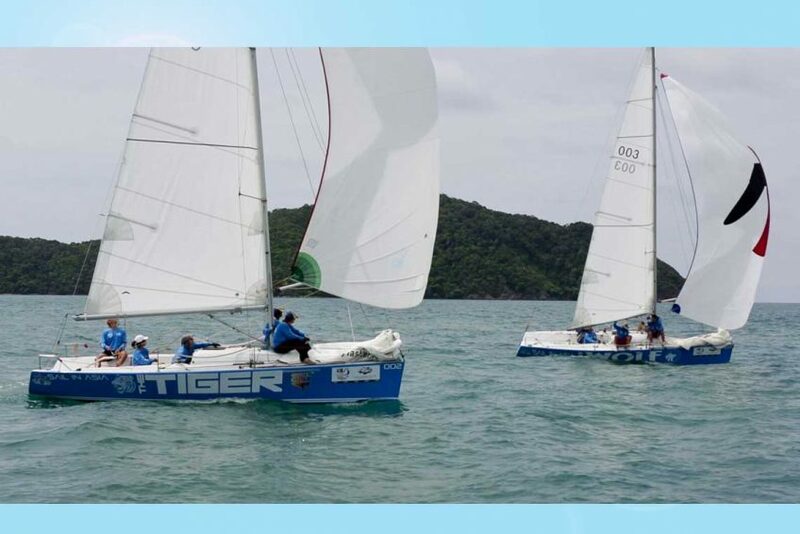 The Tiger is a fast yacht which is ideal for experienced racing crew. 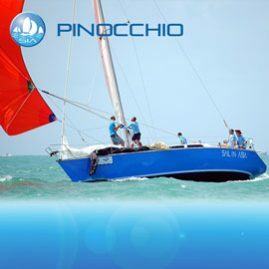 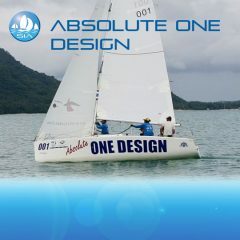 The Platu One Design Class is very popular in Thailand, with almost twenty yachts sailing in Phuket and Pattaya. 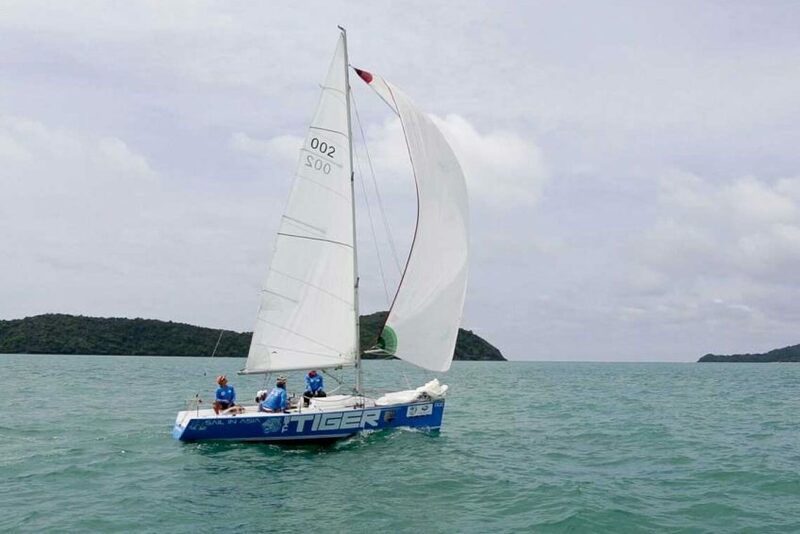 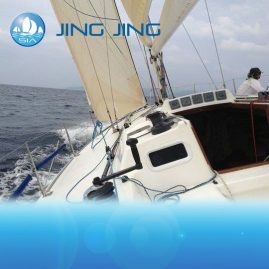 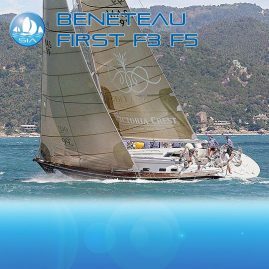 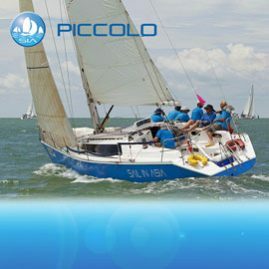 Sail in Asia currently has 6 Platus owned and managed by the company that are available for charter for Thailand's Regattas. 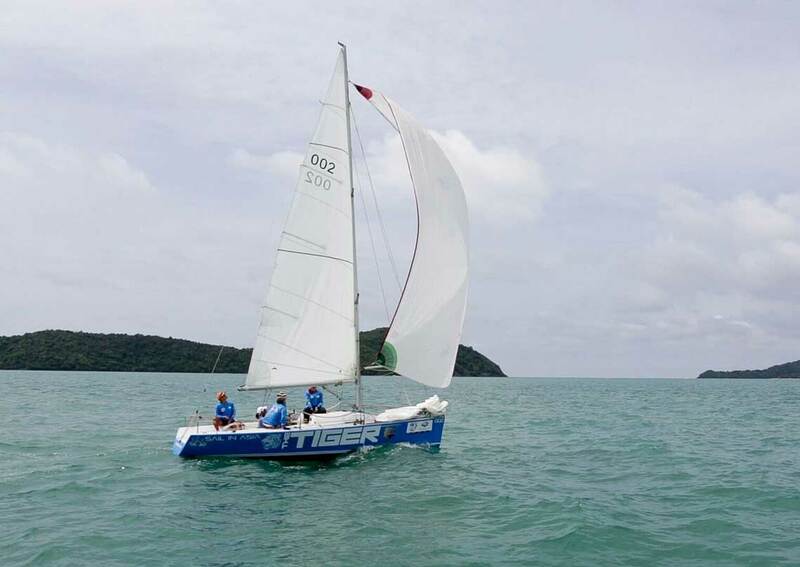 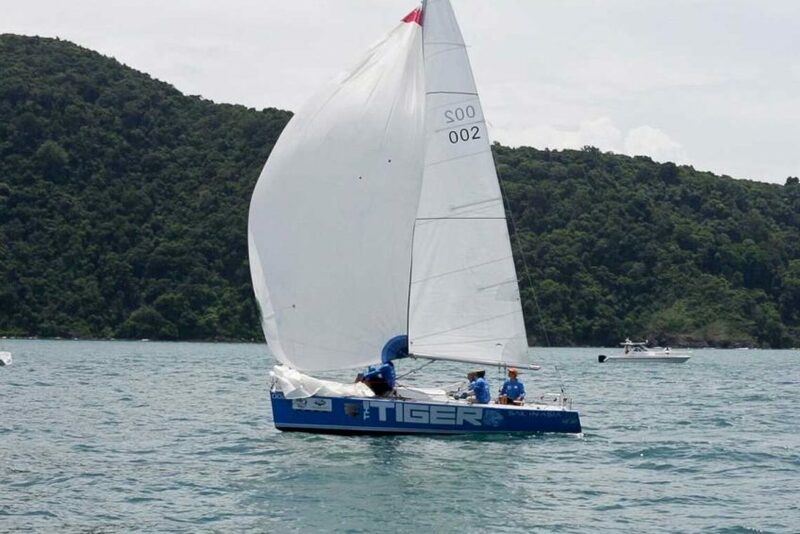 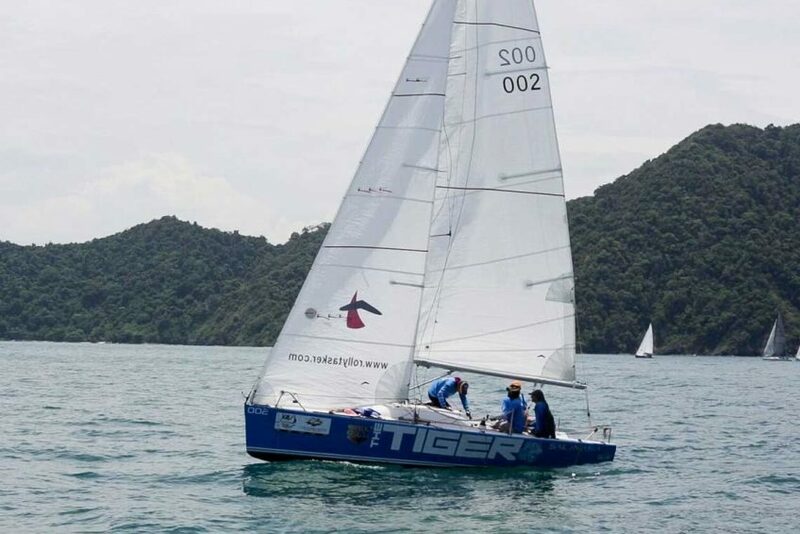 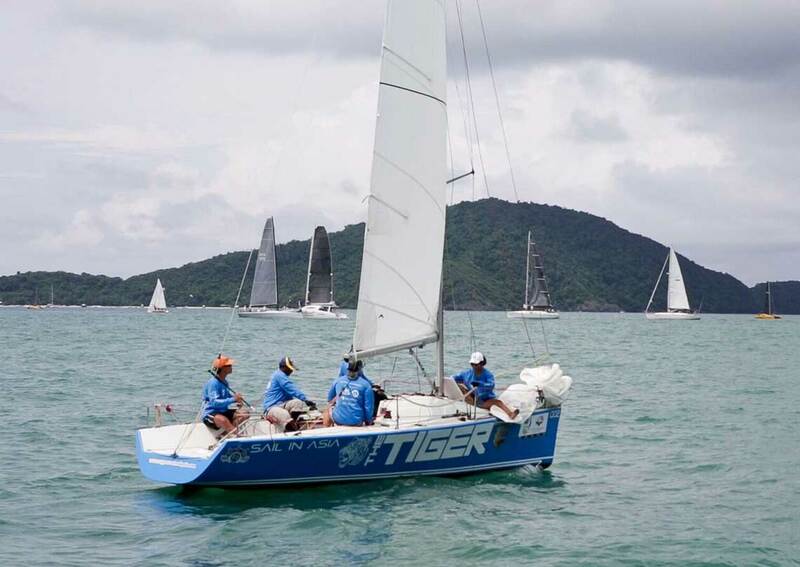 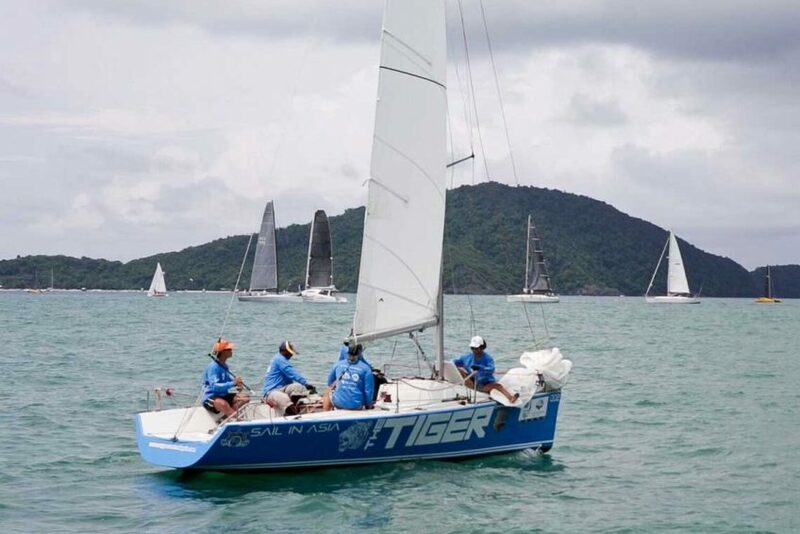 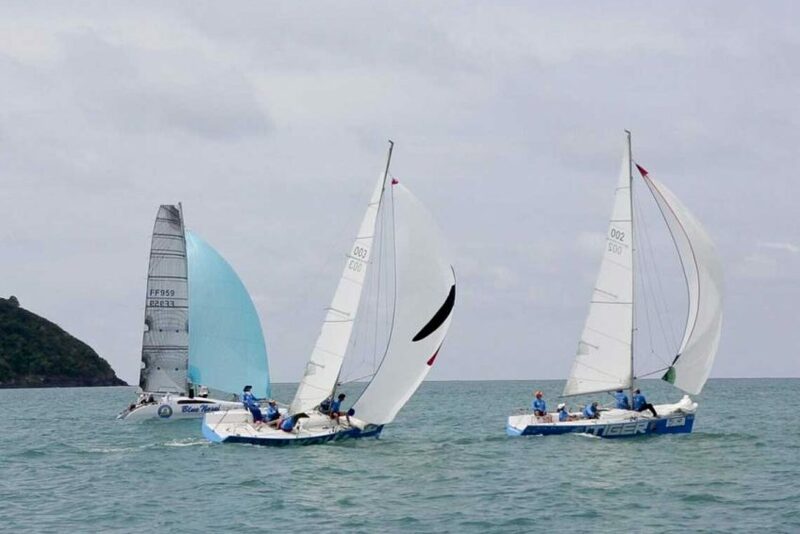 Despite her modest size The Tiger promises to deliver exciting racing in every regatta and has a surprising turn of speed when its Force 6 downwind with a kite up. 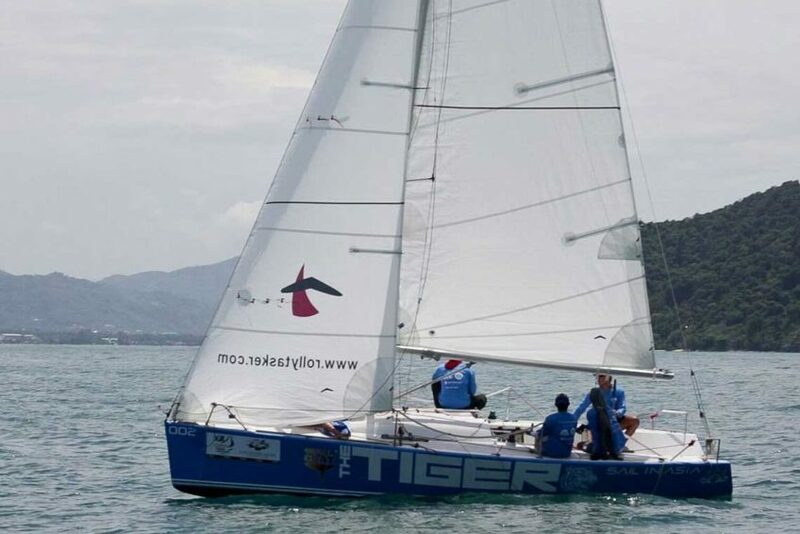 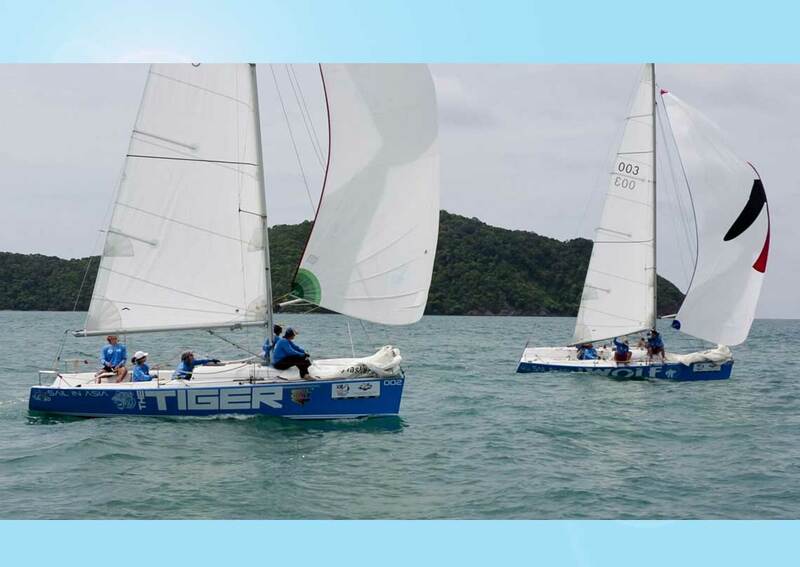 Tiger has like the rest of the fleet a suit of almost brand new sails. 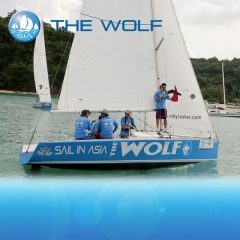 The yacht can sail with 5/6 crew and must have a maximum crew weight of 400kg. 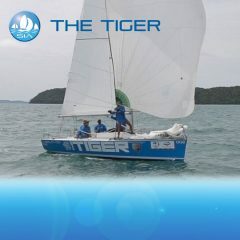 The Tiger is in excellent condition and was repainted recently. 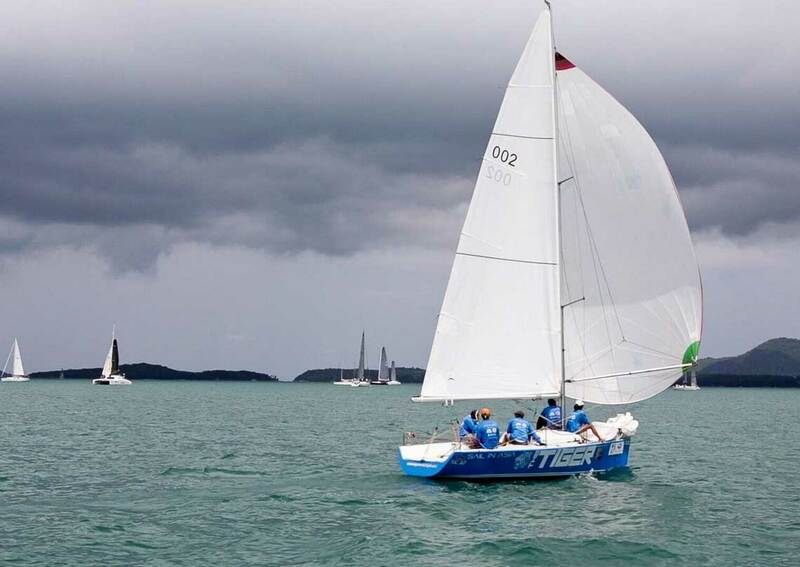 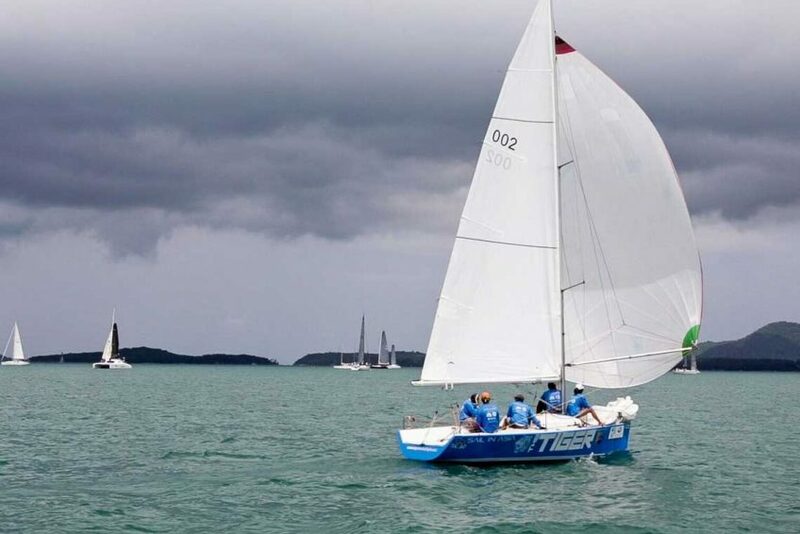 The Platus are relatively inexpensive to charter and this year is 20% discounted on last year for Phuket King's Cup Regatta.